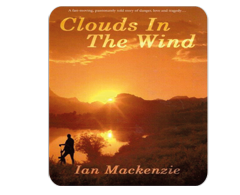 Synopsis/Bio: Ian Mackenzie was born in 1949 in the Eastern Cape province of South Africa. He was educated at Queen's College in Queenstown and Parktown Boys High in Johannesburg. He Served with the Rhodesian military during the bush war from 1976 to 1980, where he met his wife Rosemarie Kennedy. He has two sons in their 30s and currently lives with his wife in Johannesburg. This is his first novel. Synopsis/Bio: After supporting her daughter through the traumatic birth and challenging first months of her grandson’s life, Lorraine wrote a short story that exposed the challenges faced by mothers who give birth to special children. 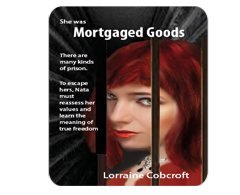 That story was later expanded to create the novel, Mortgaged Goods, a story?based heavily on personal experience?that challenges popular social values and questions common perceptions about womanhood and mothering. 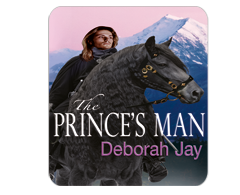 Synopsis/Bio: Deborah Jay writes fast-paced fantasy adventures featuring quirky characters and multi-layered plots – just what she likes to read. Her debut novel, epic fantasy THE PRINCE’S MAN, first in a trilogy and winner of a UK Arts Board award, was published in July 2013, with the sequel due out shortly.